This blog was originally published on ERPSoftwareBlog. What can propel your business to a higher pedestal while stoking your ambition at every step, is watching greatest of minds at work, en masse. 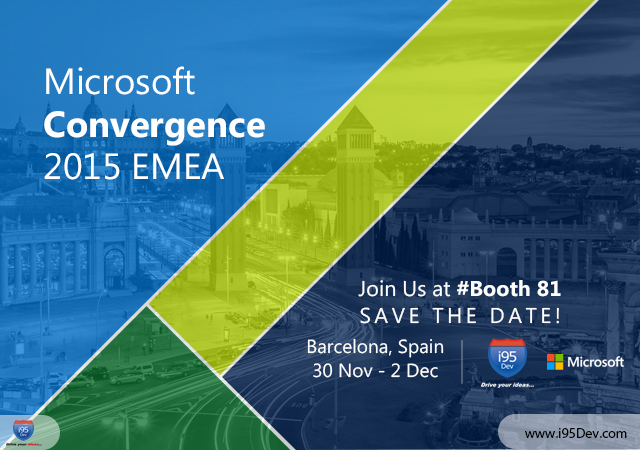 Our exciting and eventful experiences, earlier this year, in Convergence 2015, GPUG Summit 2015, NAV Directions, and our participation in @Convergence 2015 EMEA are a testimony to that belief. Microsoft presents a conglomeration of stalwarts in EMEA – a powerful amalgamation of visionaries, industry experts, technology service providers, and thought leaders. The visitors are going to be spoilt for choice in this 3-day event which gets flagged off on 30 November, 2015. With enriching sessions, keynote addresses and the expo hall certainly holds a lot of promises. Overall, we are looking forward to this amazing learning and networking opportunity. After amazing response at Convergence 2015 and Microsoft Dynamics Summit 2015 (GPUG Summit, AXUG Summit and NAVUG Summit), earlier this year, we are glad to showcase our cutting edge Integrated eCommerce solution for Microsoft Dynamics ERP – Ecommerce Growth Engine (EGE) and certainly the Mobile POS for Microsoft Dynamics ERP (AX, NAV and GP). These products are sure to amaze and surprise Microsoft Dynamics users at Convergence Europe 2015 too with its powerful new features and ability to enhance their eCommerce experience. Understand the relevance of eCommerce and the need of integration with ERP. Become aware of the need to get ERP integration done right. It is this which will help save costs and resources while you can focus on exploring newer potential. Find out how you can ramp up your efforts to provide your customer with a seamless Omni-channel experience. Schedule a Meeting with i95Dev Today. We are looking forward to seeing you there! !